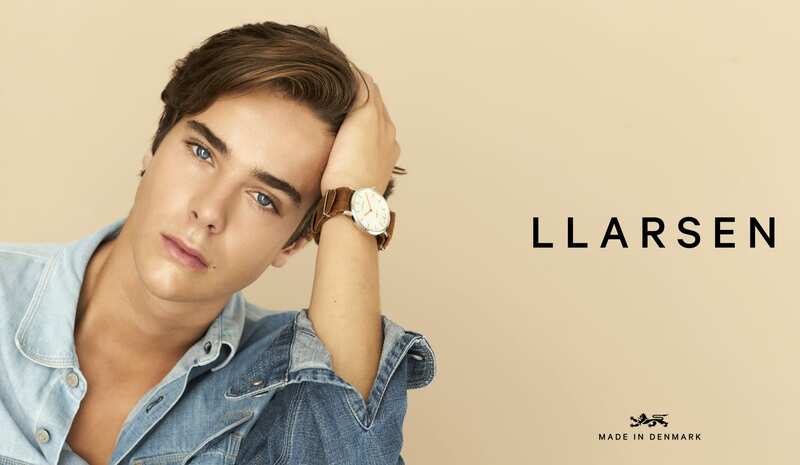 Danish watch company Lars Larsen has been relaunched as Llarsen. Dropping the name of Mr Larsen, founder of the business in 1919, will give the brand a more youthful appeal, its new chief executive Ole Munk told WatchPro this week. Mr Munk was appointed CEO of the company in January this a mission to execute a new strategy. He arrives at Llarsen with experience of 25 years in fashion, his latest role was sales director with Ralph Lauren for Northern Europe. Adding to the Llarsen’s desirability for younger customers is the ability to personalize every watch via its website. “All our watched are made in Denmark to our customers’ request,” says Mr Munk. “One of our greatest features is that you can customize your Llarsen watch to your individual taste and wish – something we are very proud of being able to offer in the mid-segment market,” he adds. There is also a wholesale plan that is already gaining traction in China and Japan. The United States and Europe are the next major target markets, Mr Munk says. Watches are priced in the €175 to €250 range.